We are a group of Lindy Hop enthusiasts founded in 2004, based in the Exeter area who enjoy and promote this unique social dance for all age groups. Formed in 2004 because there was no Savoy Style Lindy Hop in the area. We attract dancers from the whole of the South West region, holding regular Beginner's & Intermediate classes in EXETER & TOTNES as well as practice sessions, workshops, demonstrations and swing dances that include music from the Big Band era, Jump Jive and Blues. All ages and abilities are welcome. No need to bring a partner. Meet like minded dancers in helpful and friendly surroundings. The Lindy Hop will be danced all over the world to live big band music. Everywhere that Lindy Hop is danced, on the dance floors and off, people of diverse backgrounds will treat each other with respect and warmth. 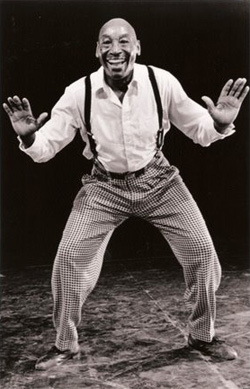 The history of Frankie Manning and the originators of the Lindy Hop at the Savoy Ballroom will be well known to dancers and non-dancers everywhere. Top Tips For Lindy Hoppers: A one: SMILE. A two: Be courteous. A we know what to do: Enjoy. If you want to enhance your dancing (be it Jive, Ceroc, Leroc or Rock 'n' Roll) add that extra something, stand out from the crowd then Lindy Hop is the dance for you! A one. A two. Swing is what we do! Palace Theatre, Paington, South Devon. For further details about our events and other events listed below, go to our Classes & Events page. SOUTH WEST LINDY HOPPERS MONTHLY SOCIALS FOR THE FULL SWING EXPERIENCE WITH LIVE SWING BANDS. IT'S WHAT LINDY HOP IS ALL ABOUT. Saturday 27 April: The Ding Dong Daddios. St. James' Church Hall, Mount Pleasant RD. Exeter EX4 7AH. Please note: Overnight parking in the Church Car Park is not permitted. Saturday 18 May: South Devon Big Band. St. James' Church Hall, Mount Pleasant RD. Exeter EX4 7AH. Please note: Overnight parking in the Church Car Park is not permitted. June. 15 June: All Jazzed Up. St. James' Church Hall, Mount Pleasant RD. Exeter EX4 7AH. Please note: Overnight parking in the Church Car Park is not permitted. July. Band 27 July: The Sultans. St. James' Church Hall, Mount Pleasant RD. Exeter EX4 7AH. Please note: Overnight parking in the Church Car Park is not permitted. (on-going 6 week courses except where indicated). FREE TASTER EVENING Tuesday 23rd April followed by 6 week course starting Tues 30 April. Beginners welcome. Contact us for more information. (Please note NO classes on Tues 9th April and Tues 16 April). Come along and have a go. No need to bring a partner. Doors open 7.15pm for a 7.30 start. Venue: The Mansion (on the first floor in the Old School Hall), Fore Street Totnes, TQ9 5RP. More details on our Classes & Events page. Exeter: Every Thurs. Next 6 week courses start Thurs 11th April. Still not too late to join us. Contact us for more information. No need to bring a partner. Doors open 7.15pm for a 7.30pm start. Venue: 'First Floor Swing Club' Heavitree Conservative Club, 7 Church Street Heavitree, Exeter, EX2 5EH. Now with BIGGER DANCE FLOOR. More room to try out those new fantastic Lindy Hop moves. More details on our Classes & Events page.